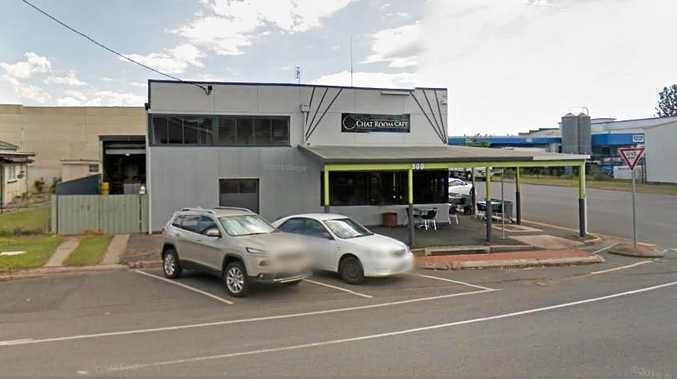 ROCKHAMPTON Region mayor Margaret Strelow launched a pre-emptive strike on her critics as councillors unanimously committed up to $10 million to build the South Rockhampton Flood Levee. Backed by a $25 million commitment from Queensland Premier Annastacia Palaszczuk, the Federal Government is the only tier of government yet to make clear if they are for or against the $60 million flood mitigation project. 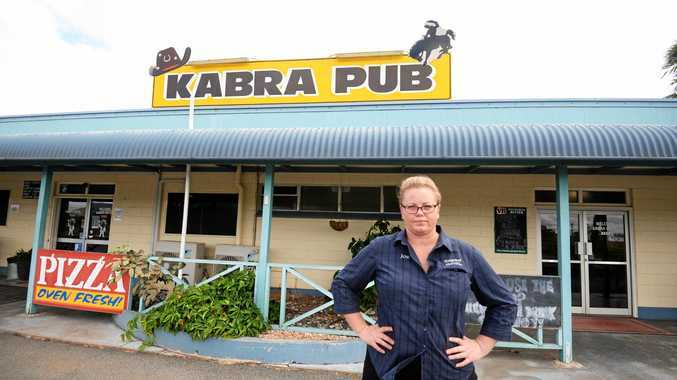 Capricornia MP Michelle Landry yesterday responded to council's decision stating the LNP would ultimately "back the project" based on community support and a guarantee there was "no risk". A report prepared for council by Strategic Projects senior executive Angus Russel said council had undertaken "extensive community and stakeholder consultation" in excess of their Community Engagement Policy and Procedure requirements. However Cr Strelow did not wish to comment further yesterday on whether she believes the community had adequately shown their support for the project. The mayor, arguably the levee's strongest backer, voted in favour of the project despite owning in partnership three residential properties and one commercial in flood-impacted Depot Hill. 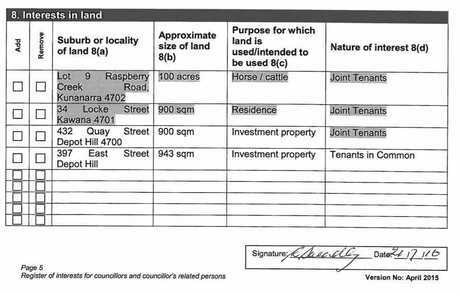 She also owns two commercial properties on Bolsover St listed under Strelow Financial Consulting Pty Ltd.
Deputy mayor Rose Swadling also declared property in the suburb; the RRC's register of interests lists an investment property on Quay St and East St, both in Depot Hill. 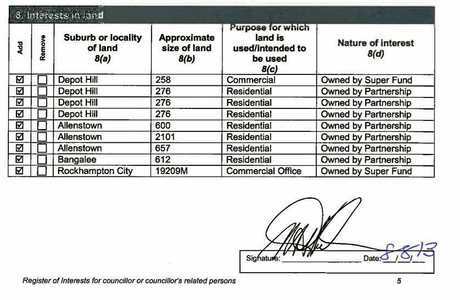 "All property that councillors own in the area is declared," Cr Strelow told yesterday's ordinary meeting. "I will not step back from putting the interest of my community first when what I consider to be cowardly attacks by persistent protagonists who continuously make that point." RRC chief executive officer Evan Pardon confirmed there was no conflict of interest or material personal interest by owning a property in that area. 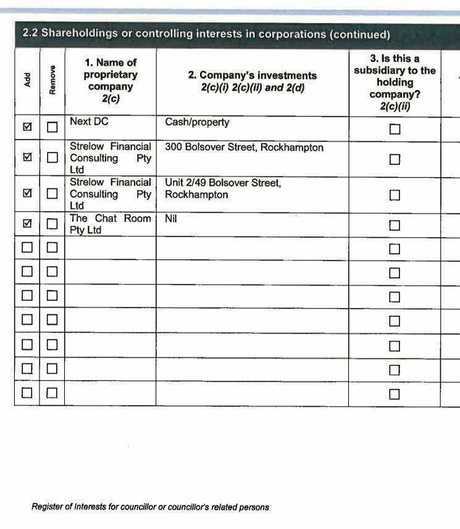 "The fact I have an interest property on Bolsover St and Derby St is old news... also old news is the fact the CEO has publicly declared on earlier occasions I do not have a conflict of interest." Cr Strelow said the "shovel-ready project" could be put to contract within the next five to six months, but needed the Prime Minister's support. She said council's contribution to the levee would be between $5 million and $10 million "depending on the outcome of negotiations with both Government and benefited private enterprises". The $60 million project is estimated to create 60 direct jobs in the local heavy and civil engineering construction sector. Council also anticipates that there would be significant flow on effects into the local economy creating an additional 135 jobs. (b) if the councillor has no greater personal interest in the matter than that of other persons in the local government area. (3) However, a councillor does not have a material personal interest in the matter if the councillor has no greater personal interest in the matter than that of other persons in the local government area.